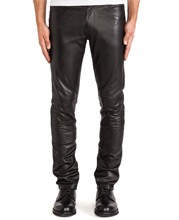 Minimal and defined is this leather biker pants style statement. 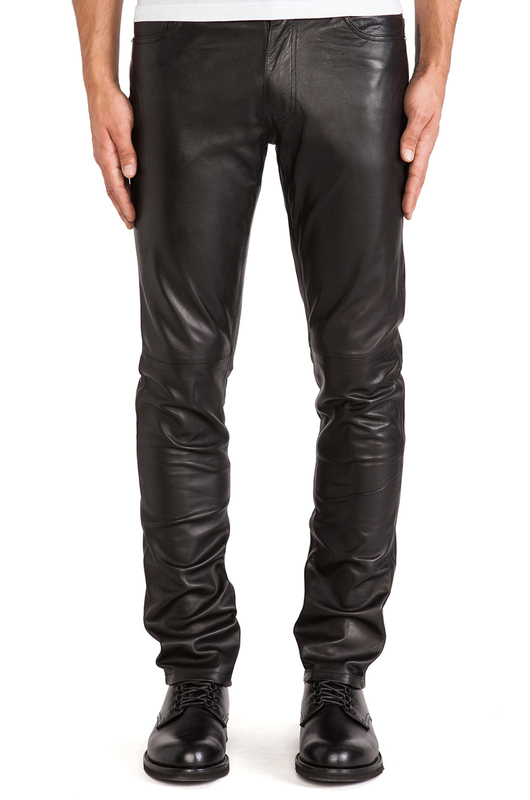 Hand stitched of genuine lambskin leather, it embodies the aesthetics of biking. Tapered fit, it offers a classic blend of style and flexibility. Making it the wear for that concert or weekend getaway. The pant features traditional five pockets providing utility. Stitch details add an element of accent.